Website Design & Website Hosting introduces IntraMedia's complete solution for website owners who are looking for one trusted company to take care of all their website design and website hosting needs. "Website Design & Website Hosting"
IntraMedia is dedicated to creating websites that are not only great for your companies bottom line, but also great for the environment by having a carbon neutral footprint. This means that the energy your website uses has no negative impact, in terms of carbon output. IntraMedia only utilizes hosting facilities that maintain a Certificate of Carbon Neutralization. Website design and website hosting are two separate, but equally important components of any successful website. Having a visually compelling website design is a great achievement, whose value can be immediately diminished by a poor website hosting facility. If your great website design is unavailable on the Internet when website users come to visit, then it's not working to your benefit at that point. The solution is to hire a website design company who offers complete website design and website hosting services. This way you have one company that will manage your website design, updating, maintenance, and website hosting. IntraMedia offers a symbiotic website design and website hosting solution to our clients, providing them with one point of contact for all their website design and website hosting needs. All website hosting facilities have scheduled maintenance downtime and environmental circumstances that can't be avoided, such as hurricanes, earthquakes and flooding that may cause electrical black outs. But, barring those extreme scenarios, your website hosting should be at 99.9% uptime. There are also higher level hosting solutions that utilize multiple hosting or data centers. This way if a primary hosting facility is unavailable, the website can be temporarily hosted somewhere else, thus ensuring a contingency plan for such website hosting emergencies. The good news is that IntraMedia offers custom website hosting services that are tailored to your specific website hosting needs. 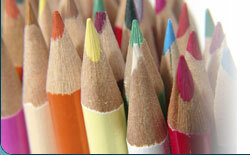 Each website design offers a different set of website hosting requirements. Whether your website design requires a basic website and e-mail hosting solution or requires a hosted ecommerce technology that demands encrypted SSL, IntraMedia website design and website design services has the solution for your business or organization. We manage all aspects of the design and hosting of your website, that way you can concern yourself with running your company. IntraMedia website design and managed website hosting can also take care of website updates, maintenance, content management and virtually any website design or website hosting service you require. 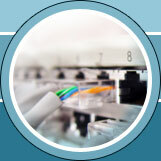 IntraMedia provides the complete Internet solution for your company. Since 1999 IntraMedia has provided compelling website designs and managed successful Internet marketing campaigns for businesses and organizations of all types.